Some of the best moments in life happen at home. American Standard Heating and Air works smarter to make all those moments more comfortable. When it comes to finding ways to make your home comfortable, you don’t need to look any further. 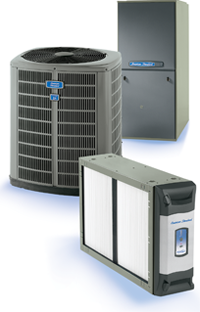 With their experience and know-how your local independent American Standard Heating & Air Conditioning dealer can handle all your heating and air conditioning needs. Add to that their focus on customer satisfaction and commitment to quality and you see why so many people choose American Standard for their homes. See your independent Trane Dealer for complete program eligibility, dates, details and restrictions.